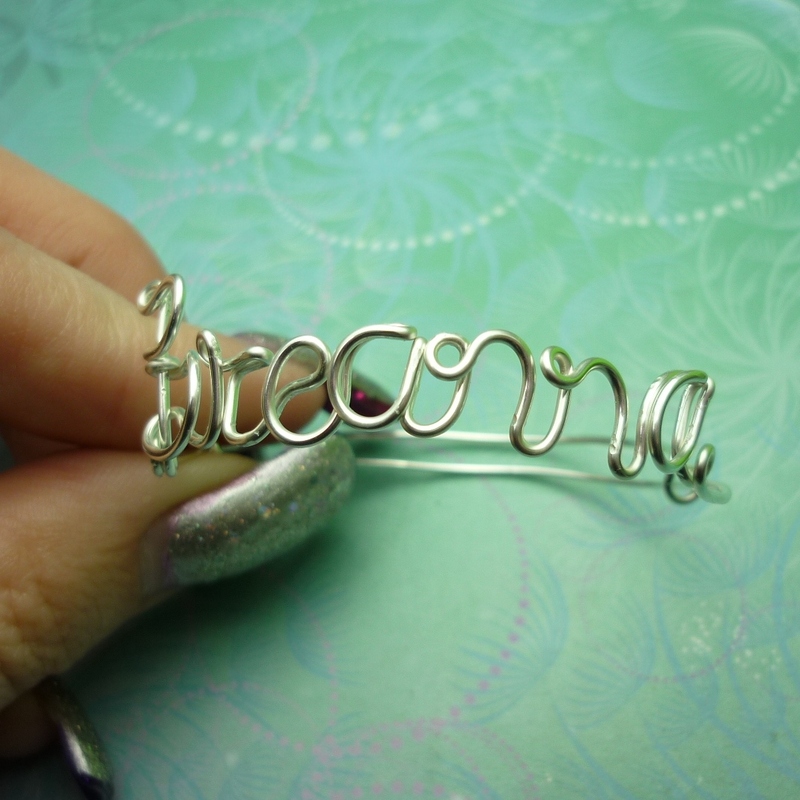 Our name bracelets our lovingly handcrafted, shaped and curved to spell out your name or message with flourishes that will be uniquely yours. When you purchase your bracelet you can choose the bead colour and the name you would like created. These bracelets make a perfect gift for friends and family with unusual names who often can?t find ?personalised? 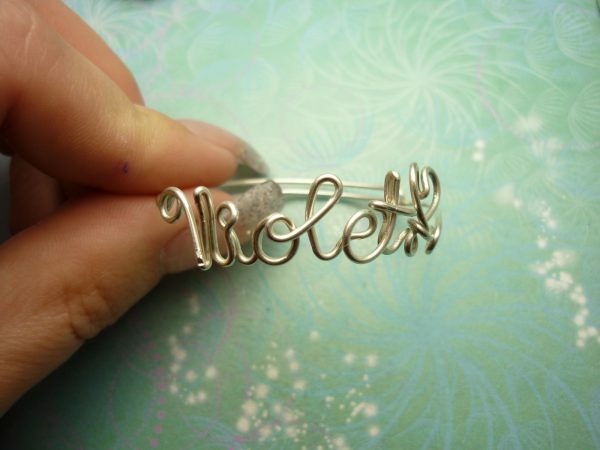 jewellery that?s as original as they are. 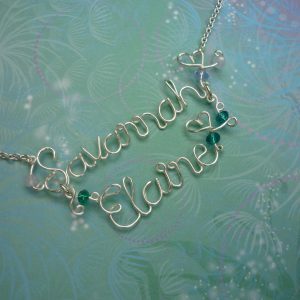 Sparkling Dragon Designs’s wire name necklaces, bracelets & brooches are lovingly handcrafted, shaped and curved to spell out names or messages with flourishes that are truly unique. They are made from non-tarnish silver or gold wire with crystal beads. 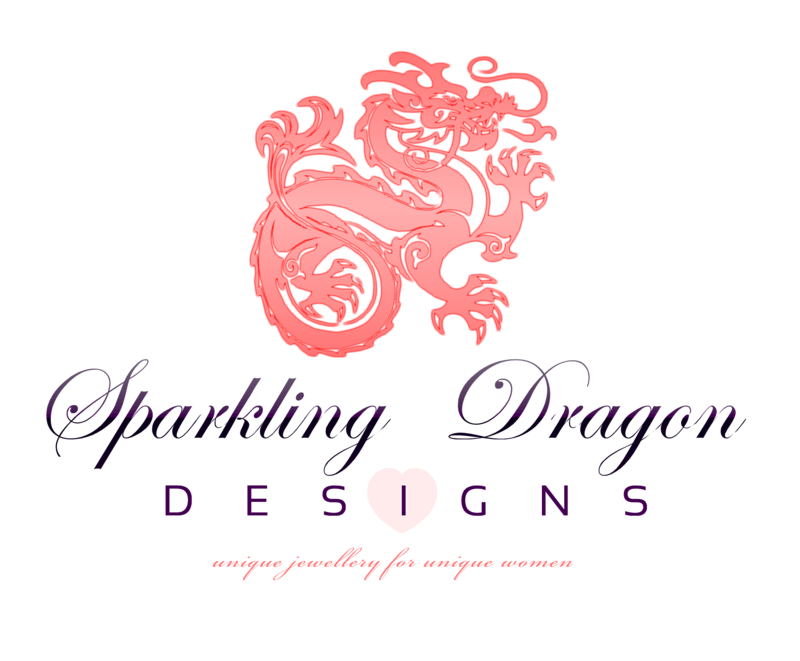 Handcrafted by me Alana Jones, Sparkling Dragon Designs. Your bracelet comes gift wrapped in an organza bag. I am happy to combine postage on multiple orders. Please allow 4 – 6 days for creation. 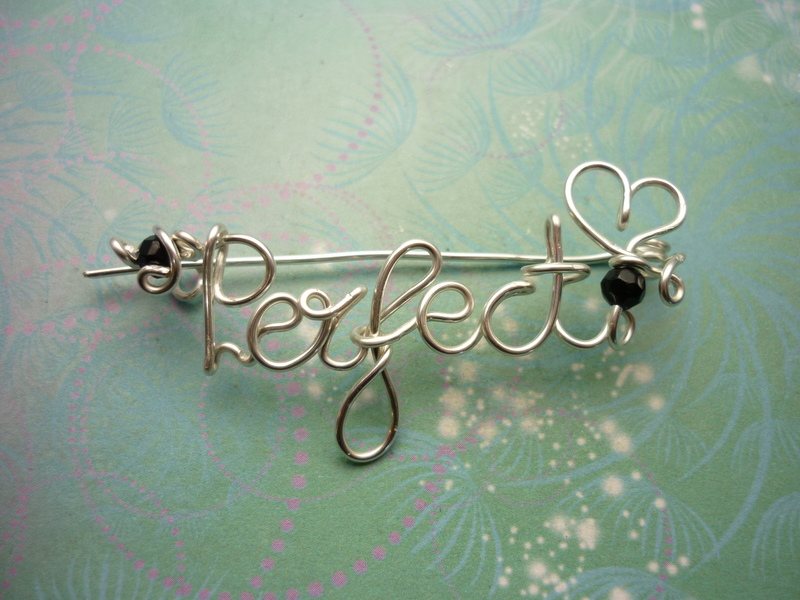 As a great lover of wire I get so much enjoyment from bending, curving, folding a single piece of wire to form special names and words. These necklaces, bracelets and brooches make the perfect gift for mothers, daughters, sisters, friends, girlfriends, wives, brides, bridesmaids, granddaughters anyone! 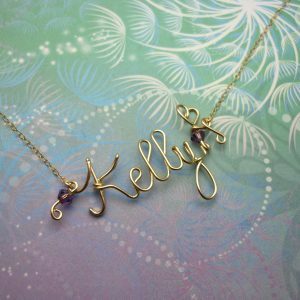 Also perfect for those friends & family members that you know, who have unique names or unique spellings of popular names and thus rarely find their names on anything, especially in jewellery. 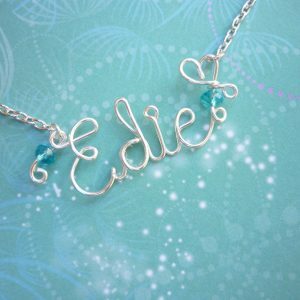 You can order custom Wire Written Name/Word Necklaces, Brooches and Bracelets personalised with the name or word of your choice. 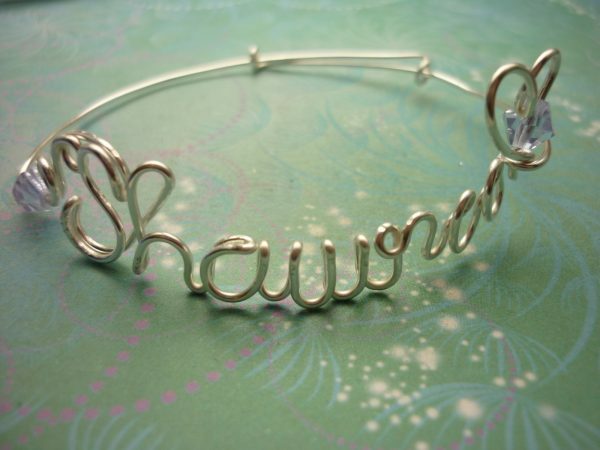 Show off who you love, your nickname or a quirky word with this special bracelet. 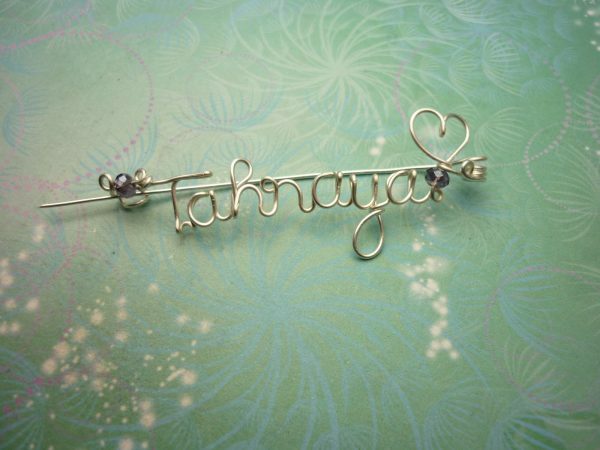 Adorned with two sparkling crystal beads in your choice of colours including birthstone. These brooches, though delicate looking, are fairly sturdy but do have a bit of flexibility to them, so please be a little gentile when wearing them. 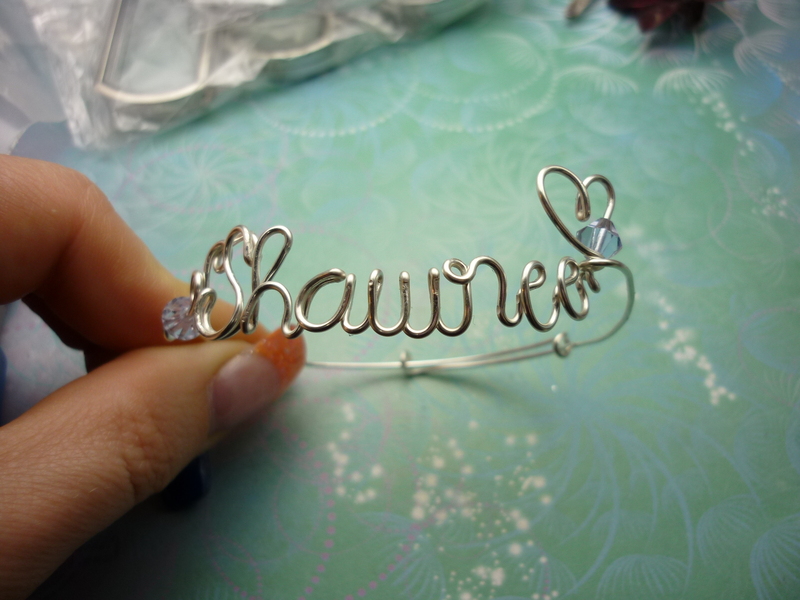 When you place your order you can then message with the name you would like and the bead colour. @All Copy Rights Reserved By Sparkling Dragon Designs Created By Cross Media Sol.